Not to Miss, Fall Fragrances! Dubai, UAE, October 04, 2018: The days are growing shorter, and the seasonal change calls for a transition. The summer's setting sun is giving way to a resurrection of fall fragrances, ones that are must-haves for your collection. It's time to update your scent wardrobe with a few amazingly warm and sensual fragrances, those that also pair well with your autumnal activities, including sipping on a Pumpkin Spiced Latte. 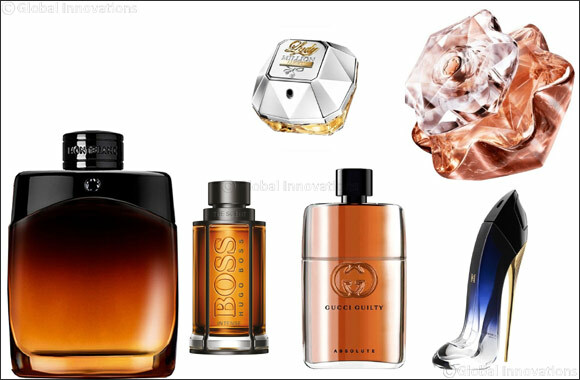 Here's a roundup of some of the must-try fragrances for men and women, all available online at Glambeaute.com. Good Girl embraces the idea of perfume as an accessory. Presented in a unique stiletto heel-shaped bottle, the beauty of fashion and femininity combine in a way that only the House of Herrera could conceive. Good Girl shows the world what the power of femininity looks like, smells like and feels like. Bright facets of Tuberose and Jasmine Sambac reveal your good side while addictive notes of roasted Tonka beans and Cocoa indulge your naughty side. Both sides come together to create a scent that is modern, sensual and powerful letting your put your true self on display. Created for a man who defines his own masculinity, Gucci Guilty Absolute is a modern declaration of self-expression. Crafted by Alberto Morillas, the scent breaks the mold of a traditional woody construction. The master perfumer defined the scent with two leading notes, custom -mixing a Leather accord Woodleather ™, and Goldenwood™, a new natural extract of the Nootka Cypress. Intensifying the fragrance's composition are three forms of Patchouli oils with sweet, dark and earthy character, and Vetiver, the fresh and earthy grass from woods. Lady Emblem is a floral fragrance born out of the essence of rose, the universal synonym of elegance and femininity. The top notes are a shining blend of mesmerizing sake notes, sparkling pink pepper and juicy pink grapefruit. The heart is a bouquet faceted around floral voluptuous jasmine notes and the precious fresh petal Rose Essential™ with sparks of pomegranate for a bittersweet fruity touch. The dry-down features creamy elegant sandalwood and warm amber notes illuminated by musk crystals for a dazzling signature. An addictive, woody Eau de Parfum. Spicy notes of ginger and cardamom, exotic maninka fruit and leather combine to reveal the scent's magnetic strength. Spray on pulse points to release the fragrance's deep intensity. A rose revolution that collapses your boundaries, making room but for pure sensation. A burst of raspberry rushes in, teasing you with its delectable gourmandize. Voluptuous sandalwood pushes the limits. A euphoric oriental fragrance. Legend Night is the latest reinterpretation of the Legend scent, the sensual woody fragrance that reveals the inner charisma of the man who wears it. The scent top notes are a blend of zesty bergamot and aromatic sage. The heart speaks a language of vetiver infused with violet. At the bottom, cedar wood and violet combine to lend elegance and distinction to the scent.